It's that idea that's been nagging at the back of your mind for a while now. "Hey, you should show off your merch on Instagram!" Your products rock, and you know it, but for some reason you're having a hard time just making yourself promote them! You aren't the only one, believe me! You probably just need someone to walk you through it. That's what we are here for! 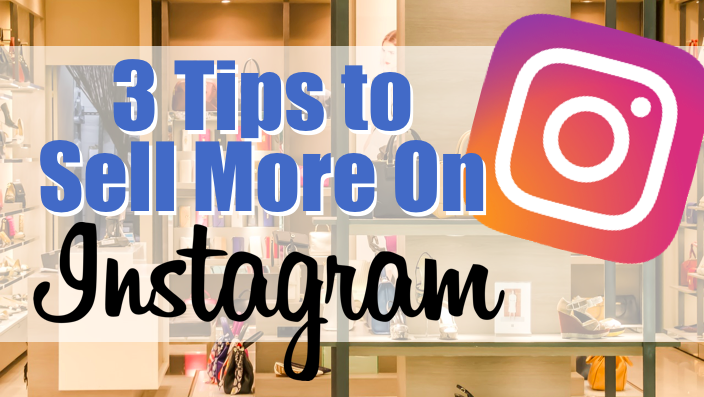 Today we'll look at three major ways you can sell more with your Instagram profile. The first way is to maximize your bio link. 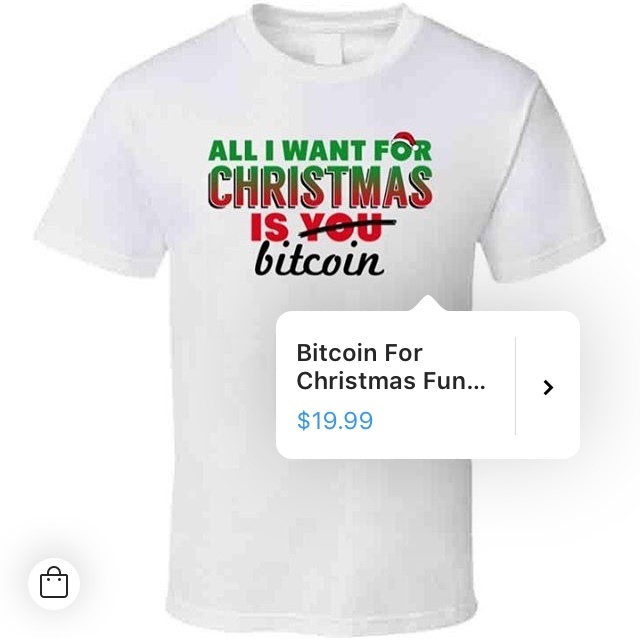 The next tool is Shoppable Posts. Lastly, Instagram Stories can be a great way to sell if you have a larger account. Sometimes it can be super frustrating that you only get one fully functional link in Instagram. But you know what? Instagram has done a great job of sticking to their principles there; otherwise, they would have started to look a lot more like Facebook by now. So that's probably not changing any time soon. So how to make the best of it? Like it or not, it's the squeaky wheel that gets the oil! That means you have to promote yourself! If that feels weird because you don't want to look self-absorbed, just remember: your fans are looking at your page because THEY LIKE YOU! 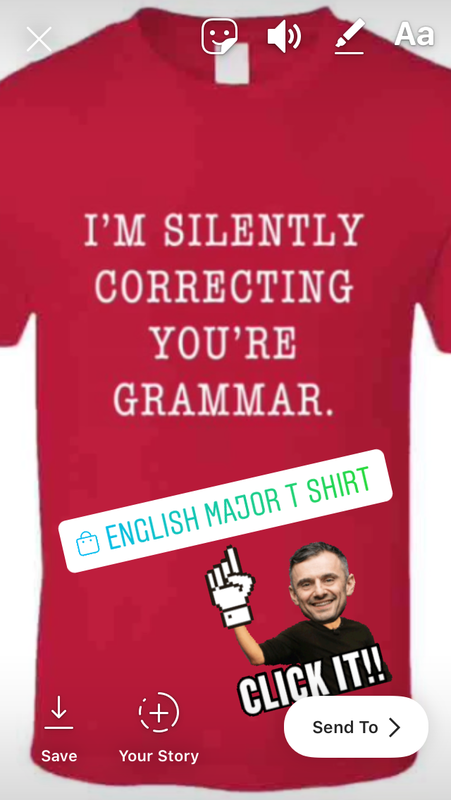 You don't have to promote your merch in every post, you just have to get it out there! The most popular way to promote your link is to just drop "Link In Bio" at the end of any and all relevant posts. It's not a big thing, but it's that little reminder to people that they have easy access to the good stuff. I love it when people draw attention to the link in their bio by using emojis in their description. Real estate is precious on phone screens these days, and this is like being able to make your link just a big larger! Here's an example from Benjamin Grimus (@bgseakk), one of our newest merch lines! You can see that we've got a few different options for people who might be viewing our profile for different reasons. If you have a wide variety of products, this can be a good way to give suggestions to your audience. You could divide it up by categories, so there could be a nerdy t-shirts link, a sports shirts link, and a foodie shirts link. You can have several links, so play around with it! Linktr.ee tracks how many clicks you get, so you'll know where your traffic is headed when they go to your page. Shoppable posts have been around for over a year, and I'm surprised I don't see them more often! It's like people have been given a great tool but are too scared to try using it! If you have never heard of Shoppable posts, here's a quick run-down of them... They allow you to tag products in your own photos, and people can tap and buy right there in the Instagram app. It's awesome! If you're interested in setting up Shoppable Posts, make sure you check out our blog post about it! SnapChat had a great idea to create ephemeral content - it's here and then it's gone. Then Instagram snatched it up and has been driving it like they stole it ever since. I'm not going to give an opinion here about who had it first, but I will say that Instagram is doing great things with it. I'll probably need to do a separate blog post just to talk about Stories, but there are two central things I want to draw attention to here: tagging (and swiping) and highlights. 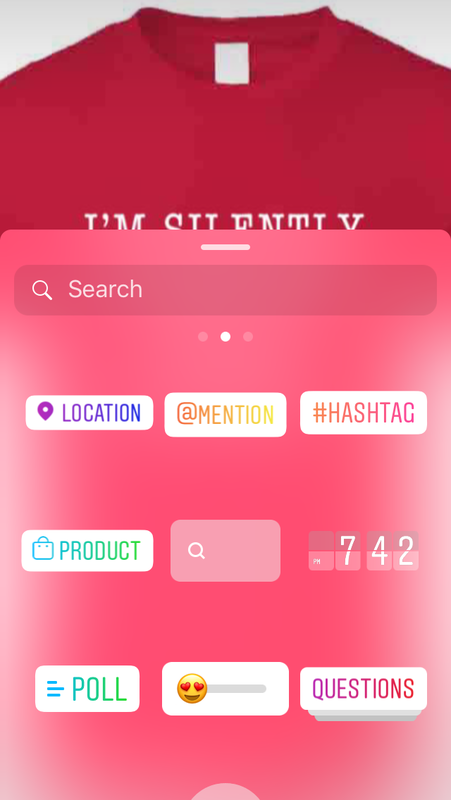 Stories now allows users to tag products! It's a little different than a Shoppable Post in that it's a bit more flashy. That make sense, because stories don't last long. You want to make the most of them! There are tons of things you can add to a Story post, like product tags, stickers, GIFs (my favorite), @mentions, etc. 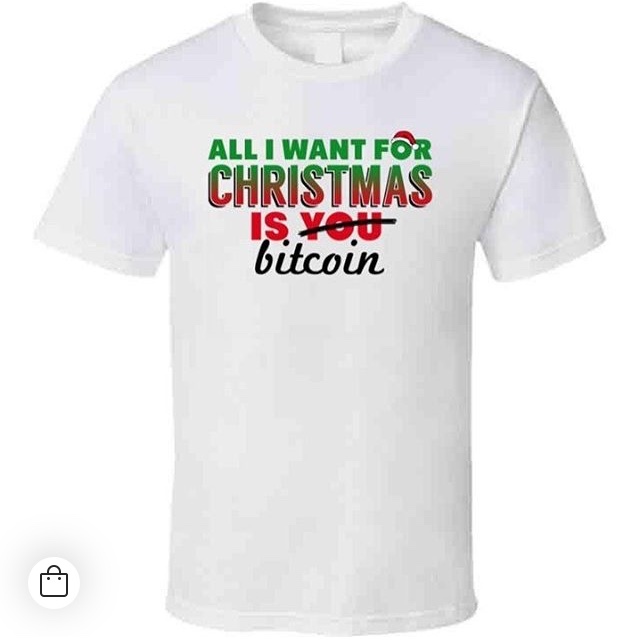 And yes, that is a Gary Vaynerchuk GIF. Nothing like a little social pressure to encourage action! If you have more than 10,000 followers, great job! You have access to the "Swipe Up" functionality. That is EXTREMELY valuable! And by 'extremely' I mean a 15-25% swipe-through rate. 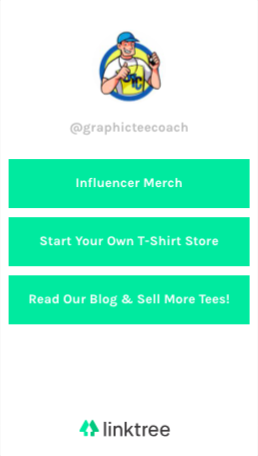 That means up to 1 in 4 of your loyal fans that see your story are likely to swipe up to visit your merch page! Instagram Stories only last for 24 hours, and then they are gone forever... or are they??? Turns out you can bring them back and get more mileage out of them thanks to "Highlights." Have you ever wondered what those circles are at the top of a lot of Instagram profiles? Those are Highlights, and they are another great opportunity for you to market your merchandise. You can see he's using highlights to group things together that were once in his Stories. They don't have to be shared together; you can just add them from your archive. 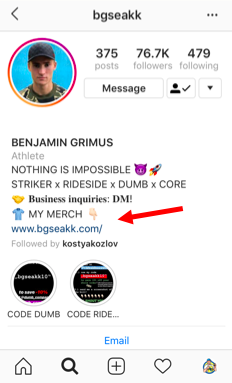 Stories are a great way to showcase your merch and also share the less polished side of your brand. 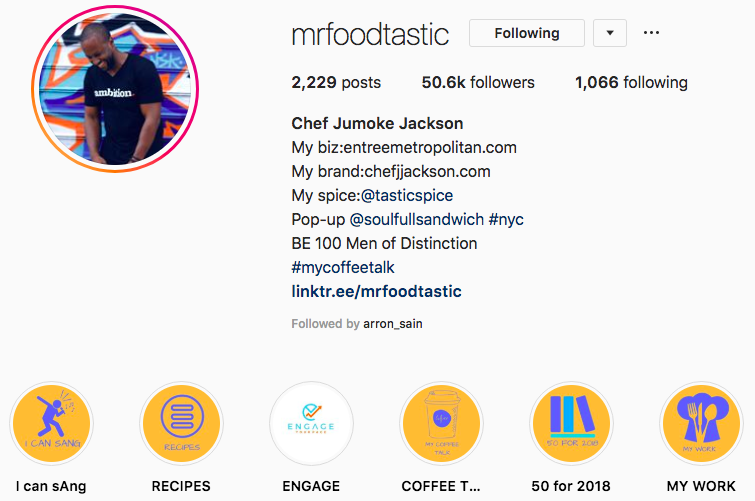 If you want a good example of that, check out Chef Jackson's "I can sAng" highlight - it is hilarious! Note: A best practice (but definitely not required by Instagram) is to create a cover for your highlights. It adds a nice, coherent feel to your profile. At the end of the day, the most important thing is to just get started promoting your merchandise. Your first posts might not be absolute gold, and that's okay. Just learn from them! If you end up making something horrible, just delete it and pretend it never happened But take a screenshot so you can remember where you started! Premium Graphic Tee Coach members can also use the Ask Steve forum to get answers to your setup questions. Subscribe today (it's free!) and get a 30-day Premium free trial!